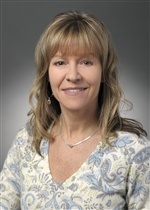 Carol joined Cleary Insurance in September of 2009. She brings over two decades of account management experience in the Health and Welfare industry. Carol is an insurance professional with extensive experience providing insurance placement to health and welfare clients. She currently holds a Massachusetts Life and Health Producers License, a Certified Insurance Counselor (CIC) designation, and has a B.S. degree in Operations Management.